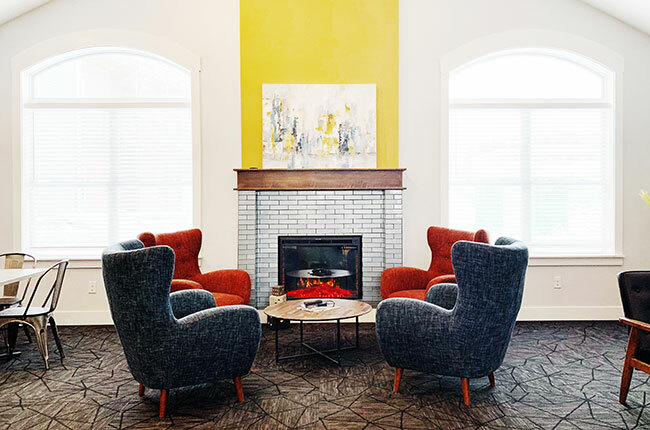 If you are looking for an apartment community that offers high-quality luxury amenities, priced at an incredible value – look no further than Aspen Grove. We offer spacious 1, 2, and 3-bedroom apartment homes. All buildings have secure entry access and each apartment boasts a fully equipped kitchen, walk-in closet(s), and full-size washer and dryer. Take advantage of our state-of-the-art fitness center and sparkling swimming pool with outdoor seating. Our furry residents will enjoy playing in their very own Bark Park. With all the comfort you need in one place, what are you waiting for? Come home to Aspen Grove today! Located right off of Interstate 680, Aspen Grove is situated near neighborhood dining, retail, and entertainment venues as well as offering easy access to major points of attraction within Omaha in fifteen minutes or less.